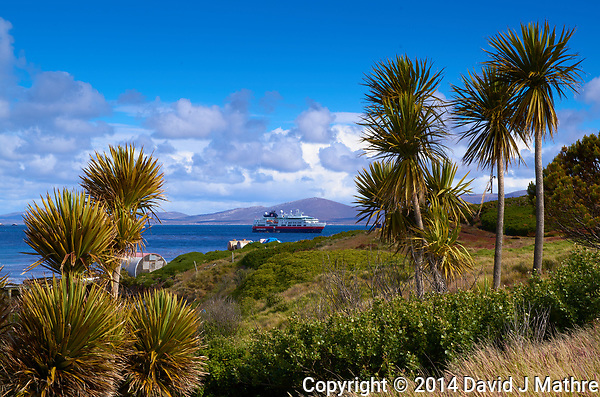 The first place we stopped in the Falklands was Carcass Island. I was surprised to see palm trees this far south. It almost looks like the MS Fram was anchored off a Caribbean tropical island. 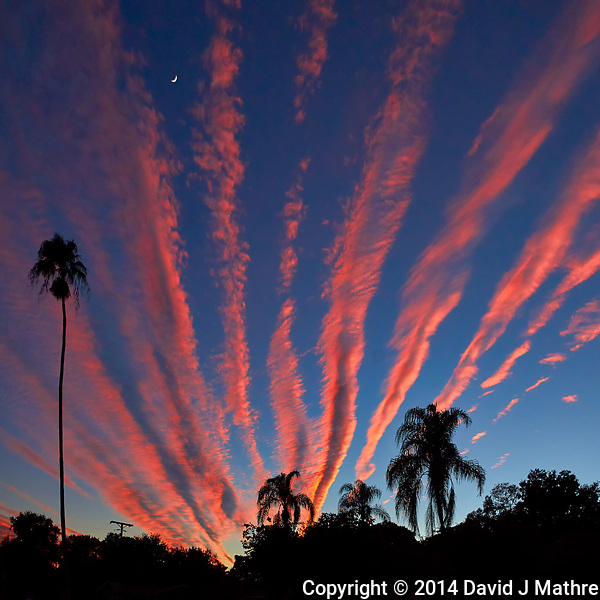 Moon, Palm Tree Silhouettes, and Orange Contrail Clouds at Sunset. Another case of “the best camera is the one with you”. I’d never seen contrails lined up like this before with the added bonus of happening just after sunset. View from the Old Northeast section of St. Petersburg, Florida. Orange Contrail Clouds, Palm Trees, and Moon Just After Sunset in St. Petersburg. Image taken with a Leica T camera and 18-55 mm lens (ISO 400, 18 mm, f/6.4, 1/640 sec). Raw image processed with Capture One Pro 8, Define 2, and Photoshop CC 2014. Gone to See Hawaii. 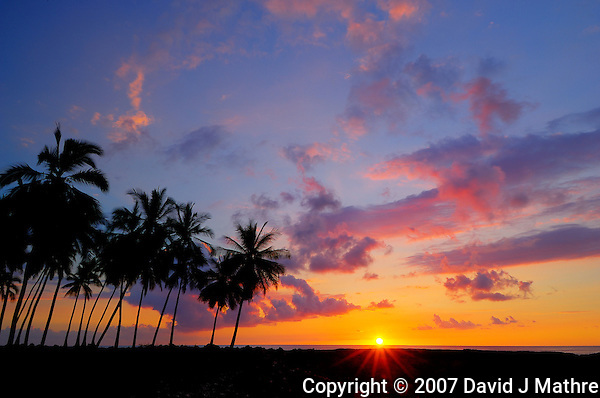 Big Island Photography Workshop with Thom Hogan. Day 2: Kona. 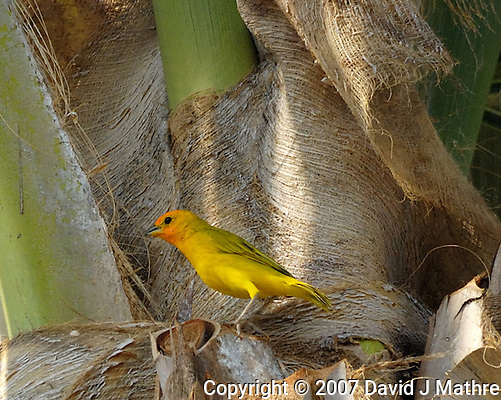 Saffron Finch in a Palm Tree outside the hotel in Kona. Image taken with a Nikon D2xs camera and 80-400 mm VR lens (ISO 400, 400 mm, f/8, 1/640 sec). Introduced to Hawaii by man from South America in the 1960’s. Now well established.